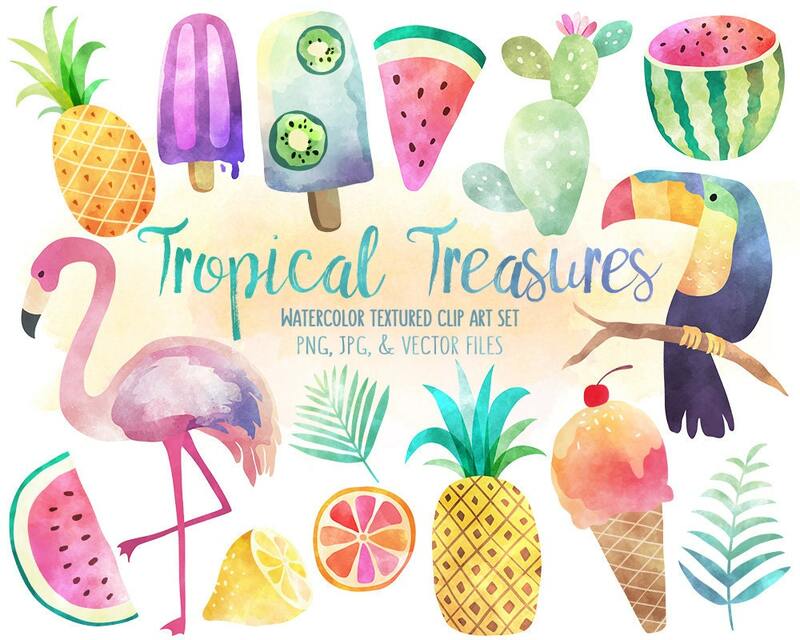 Tropical Clip Art - Watercolor Summer Clipart Set, Vector Clipart, Beach Clipart, Flamingo Clipart, Pineapple Clipart, & More! This listing is for a set of 15 tropical clip art elements with a beautiful watercolor texture. Perfect for use in scrapbooking, party invitations, nursery prints, greeting cards, decorations, and much more!